Connect SWFL is proud to announce the recent website launch for Boy Agnew Potanovic (BAP), a law firm located in Fort Myers, FL. 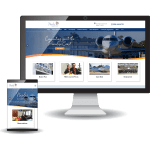 Their multi-page website conveys a professional and modern look with custom-animated sliders on the home page, with purposeful placement of color to reinforce their brand. The simplistic and sleek design elements throughout the site add to the overall ease of the layout and navigation. 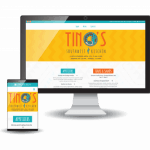 Visitors to their site will be pleased with the easy-to-use navigation menu as well as the responsiveness of the site that provides end users with an excellent user experience when visiting on their mobile phones and tablets. A provider of proactive legal solutions, BAP is the only law firm in Southwest Florida with multiple attorneys who are Board Certified in Labor and Employment Law by The Florida Bar. We are honored that they chose Connect SWFL to collaborate with and help create an impactful and elegant website for them.